Soon to be controlled by a federal government near you. In the run-up to his State of the Union Address, President Obama is advancing a bold new proposal for education. He wants to make community college free for the first two years for students who are willing to “work for it.” Of course, by “work for it” he means “not completely fail,” setting the extremely low bar for eligibility of a C+ average and half (half!?) time attendance. Right off the bat, three problems jump out that make this idea about as bad as any Obama has ever had. Whenever someone from the government says they want to make something free, what they really mean is that they want you to pay for it, either through taxes, debt that must be repaid in the future, or the cost of inflation that comes from printing more money. While no official price tag yet accompanies the president’s proposal, you can bet that it will not be cheap. Using a rough, back of the envelope calculation, we can get a figure somewhere in the ballpark using the president’s own figures. Obama claims that his proposal will affect 9 million students a year and save them, on average $3,800 a year. This adds up to a total cost of $34.2 billion a year. Only three quarters of this cost will be borne by the federal government, with the remaining quarter being picked up by participating states. Of course, the government is in the habit of underestimating the costs of major programs, and there is no consideration of the additional capacity schools will presumably need to accommodate the flood of new students hungry for a free education. Who’s going to pay for the extra classrooms, teachers, and materials? The answer is most likely that tuitions will have to rise for the third and fourth years of college, negating a lot of the benefits this proposal claims to confer. Whenever the government sets prices in a private market, it creates distortions that alter incentives consumers would otherwise face. If the government were to mandate free apples, the producers of oranges would be all but ruined, not to mention the effect on the dietary habits of Americans. The same thing is true of education. Throughout his presidency, Obama has labored under the delusion that a liberal arts education is the best thing for absolutely everybody. But we are living in a time when trade and vocational schools are becoming extremely important, as are technical college, and the good old-fashioned work experience that led dropouts like Bill Gates to become great entrepreneurs. The price system functions as an extremely efficient allocator of resources. Artificially dropping the price of community college will drive students away from these other educational avenues and into community colleges where they may miss the opportunities best suited to their talents and inclinations. All over the country, parents and teachers are rebelling against Common Core educational standards, finding that their top-down focus on one-size-fits-all testing is harmful and ineffective. 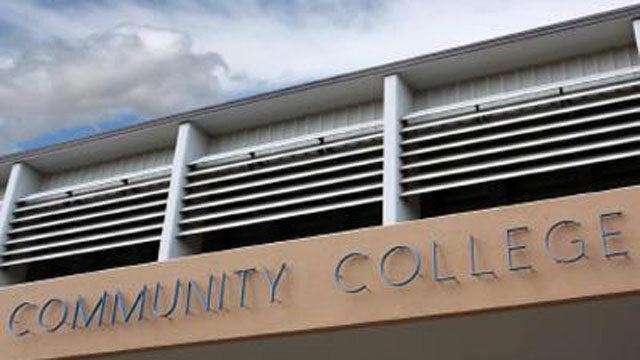 Obama’s proposal demands “promising and evidence-based institutional reforms” from community colleges in order to qualify for the funding, the exact same approach that the federal government used to pressure states into adopting Common Core, despite explicit legal prohibitions on federal control of education. These kind of requirements as conditions for funding are always an excuse for a federal power grab, resulting in a loss of local control, and the accompanying declines in quality that always occur. Education has always been held to be the domain of the states and not of the federal government, following the Tenth Amendment to the U.S. Constitution. The Obama administration’s continued attempts to federalize what is necessarily a local process can only lead to further deterioration of the nation’s schools and colleges. You see there is always some kids that the grade school brainwashing won't work on. This way here we make sure they get a full dose of liberal brainwashing at a college level. Plus this way the liberals will make sure that all the illegals will get free higher education. Again this will fall on the backs of the dwindling middle class. This so called president will probably put the IRS in charge of this program too. F the IRS. Liberals are a plague, we need a cure. Uhmmm... let's see half time, C average, for free. That's entertaining black America, plain and simple! Every poor, deprived, picked on, underpriviledged black child in the US, pushed through under common core, will now have a two year degree!!! And, still not know how to add and subtract, because somewhere in this bill/executive order/political B_S_, it will be written that we cannot pick on the underpriviledged, and a proportional number of them MUST GRADUATE, as well. Grading curves WILL BE BUILT INTO THIS SCHEME. If you're black, and you show up for class, you will earn a degree, so you can claim that you are capabale of managing the Hardees where you're flipping burgers while thinking you are entitled to $15/hour in an entry level job. NO... before anyone asserts such, I am NOT racist. The Obama Administration is, and I have seen them in action for the last 6 years. This IS, what IS coming in this program. If anyone doubts it, just wait and see. Personally, I don't know why anyone would doubt it, when Obama and Holder both claim that a disproportionate number of blacks are disciplined in schools, and a disproportionate number of blacks are sent to prison. And, they want justice metered out on a proportional basis, rather than applied to those who actually break the law. We the taxpayer, will be saddled with providing day care for black children until their 21 st. birthday, so they can claim they attended college. Why not simply give them a token at birth that says this token entitles the bearer thereof to a doctorate in brain surgery. Under Obamacare we need more doctors, doctors aren't being paid any more than burger flippers at Hardees want to be paid, so why not make the burger flippers at Hardees all doctors!! THAT is where the Obama Administration is going with this! Think about it next time you ask them to supersize your Southwest Patty Melt Burger Combo, because the individual running the grill, or the one trying to figure out the timer on the fry machine, could be performing your lobotomy next week. What about the cost to 4 year institutions that will see a loss of millions of students that typically would attend their schools, but now will go the JC route instead? This man is a nut. He needs a community college education himself. He has a "Saul Alinsky" degree, which is tops in his world of rainbow skys, right? OH WAIT, in all fairness-especially affirmative action-we can't forget his years of experience as a "community agitator" working with and along side the ilk of revs jack-a$$ and sharptwit.. If someone is not smart enough to earn $1900 a semester they are not smart enough for my tax dollars to support their Community College.